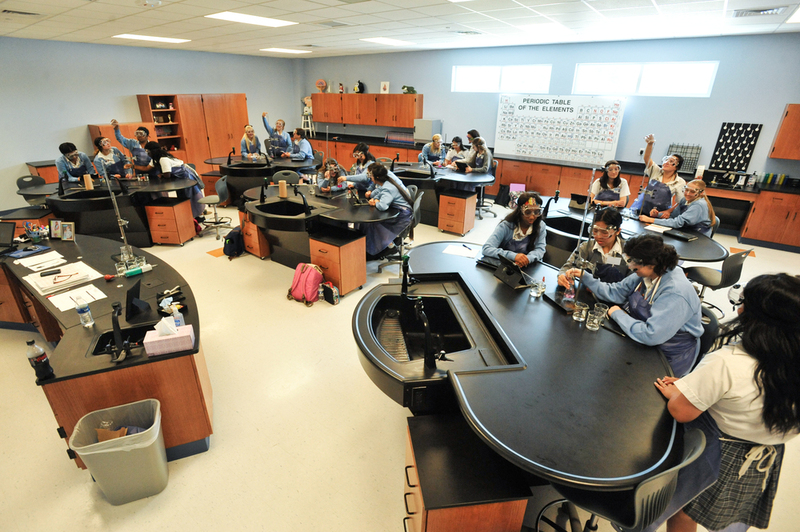 The new state-of-the-art Academy of Our Lady facility is situated on 22 acres and is located in Marrero. Our site allows Academy of Our Lady to thrive with additional classroom space, STEM centered science labs, and athletic facilities. The campus includes a chapel, an administration and guidance complex, a classroom building, a cafeteria, a library, a television production studio, an IT suite, five science labs, a culinary arts lab, a 1,000 seat gymnasium, a health care lab, and space for music, theatre, and art. Green space includes a reflective courtyard, activities quad, and space for athletic fields. Academy of Our Lady students are nurtured in the Catholic tradition while being given all the tools necessary to succeed in the 21st century.